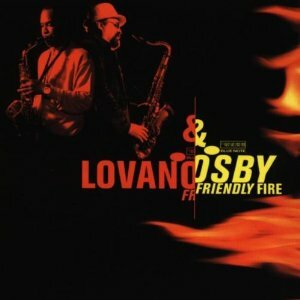 Lovano and Osby made some excellent personnel and program choices. The teaming of Osby-affiliated pianist Jason Moran and Lovano’s current trio mates-bassist Cameron Brown and drummer Idris Muhammad-produces a constantly shifting chemistry of contrast and confluence. Brown and Muhammad are always in sync with Moran’s ability to quickly and effortlessly move between the pocket and the perimeter of a composition’s structure, and Moran proves to have a sixth sense about when and how to pull back just a little to allow Brown’s well-honed sense of line and the propulsiveness of Muhammad’s smallest details to come to the foreground.